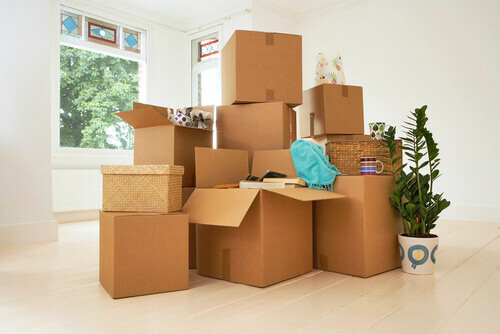 Planning a big move, but don’t know where to start? While moving can be an overwhelmingly stressful experience, it doesn’t necessarily have to be. Moving Masters provides a variety of moving services for office to educational institutions, and are experts in what the moving process entails, whether it’s big or small. We strive to make the process speedy and convenient, leaving you with a sigh of relief. With our expertise in moving and storage, here is some office moving advice on how to improve your overall experience. While our team at Moving Masters is always here to assist with an office move, as the process can be daunting, we recommend carefully planning the move at least six months ahead of time. This gives you plenty of time to roundup your belongings and really get prepared. Periodically get together with the team and discuss moving plans and various roles in the move. Since a large sum of individuals will be occupying this new space, it’s important to flesh out all of the details ahead of time to ensure that everyone is on board. If possible, create a team of individuals who are able to set aside time to really help with coordinating the move. Distributing a list of tasks with deadlines pertaining to the move is also a good way to stay organized and tackle the whole thing as one big team. During a hectic planning process along with staying on top of everything going on at work, be sure to determine what printed materials will require address changes, such as business cards, envelopes, stationery, etc. As important as this is, it can easily be overlooked. Be sure all team members know what day to pack up their desk and prepare for the relocation. A week or more before the move day, begin packing everything you can. We recommend carefully color-coding and labeling your boxes full of items based on what category they belong in and what room they’ll go in. This way, you’re saving yourself the hassle of figuring out what goes where during the process of unpacking. Be sure to label which boxes contain fragile items, as you wouldn’t want them to get broken during a potentially bumpy move. A big concern among many people is how to fit large furniture with limited access into a new space. Before moving, record the measurements of the furniture, doors, windows, and halls of your current office and new one. Make sure all your team members are aware of the layout of the building and where exactly everything will be. Moving Masters suggests using plastic wrap to keep belongings secure and in place. If you’re moving drawers of any sort, cover them with plastic wrap to keep them shut or smaller items in their intended container. You’ll feel relieved when you unpack and see everything neatly in its place. It’s also good to use masking tape to cover any mirrors and glass frames in order to keep the glass in the frame in case it gets shuffled around during the move. Of course, it wouldn’t be a move without the unpacking process. While team members are usually responsible for unpacking their desk items and arranging them accordingly, Moving Masters will provide a speedy move, allowing businesses to get quickly settled in and back on track. The good news is that the unpacking process should be far more enjoyable than the packing process. It’s a fresh start. Be sure to check out our checklist for office moves! Contact Moving Masters today at 301.773.2777, and receive a FREE estimate for your moving needs. Our experts are here to answer any of your questions!